When you talk to a dog, does the dog talk back? Many people think so. But for a long time, scientists didn’t know how our furry friends learned to communicate with people. Luckily, Russian scientist Dmitri Belyaev had a plan. If he could tame wild red foxes, he could learn how dogs first came from wolves. By studying the way these foxes changed during domestication, the mystery of communication would be solved at a last. More than 50 years after the experiment began, Belyaev’s foxes have become so tame, you can have one as a pet! Packed with eye-popping photos and first-hand research, FOX TALK reveals the story of these amazing animals… and everything they’ve taught us about wolves, dogs, and communication. Fox fur is rough on top, but very soft underneath. They smell better than dogs. I first heard about domestic foxes in 1999, when I read this article by Lyudmila Trut, a scientist with the project. My first thought was “I want one!” Having the chance to write Fox Talk is the next best thing. In February 2013, I got to meet some domestic foxes who are living at Featuring Animals in Florida. Stories and photos from that day appear in the book. Free resources for teachers and librarians can be downloaded at right. You can also contact me for a free copy of the children’s article “A Fox in the Doghouse,” originally published in the January 2013 issue of Dig magazine. communication, inheritance, and the power of DNA." 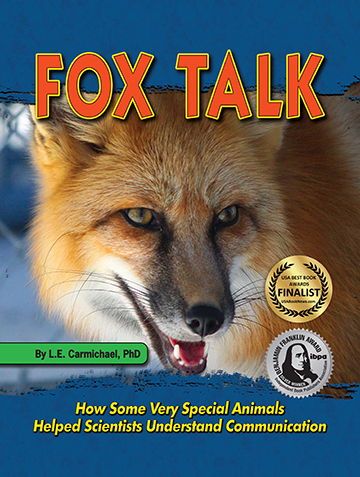 "Fox Talk is a great introduction of recent discoveries in domesticated behavior of canids." 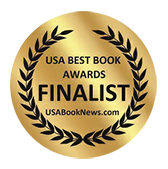 "For kids who love animals, and want to know more about what makes wild animals wild, and pets pets - and about people's relationships with both - this book is a winner!" "This is exactly the kind of book I love to read. It will appeal to anyone who wants to understand how and why." Visit The Squishable Baby for additional teaching materials for Fox Talk.